On my recent trip to Israel, I could not help but to notice all the different types of flowers. Most of these have been imported since the nation was reformed in 1948. I visited The Advent on the eastern edge of downtown Atlanta and dedicated their newly renovated worship space. We had a good evening of worship and fellowship. John Newton, an Anglican pastor who wrote the hymn, Amazing Grace, said the following in a sermon preached in England of a day of prayer and fasting for the nation (Feb. 21, 1781). Communities, as such, in their collective capacity, are visited and judged in the present life. And, in this respect, the Scripture considers nations as individuals; each having an infancy, growth, maturity, and declension. Every succeeding generation accumulates the stock of national sin, and there is a measure of iniquity which determines the period of kingdoms. Till this measure is filled up, the patience of God waits for them, but then patience gives way to vengeance . . . When God is exceedingly displeased with a people, it is not necessary, in order to their punishment, that he should bury them alive by an earthquake, or destroy them by lightning. If he only leave them to themselves, withdraw his blessing from their counsels, and his restraint from their passions, their ruin follows of course, according to the necessary order and connection of causes and effects. The people of Christ Church, Highlands/Cashiers, gathered last night to dedicate their new worship space to God and be challenged to get on with reaching their neighbors with the message of the Jesus. Fr. Jim Murphy and their dedicated lay leadership have worked tirelessly to prepare a place where Anglicans could gather for worship and center their ministry-efforts to reach out in the Name of Jesus with the Gospel of Salvation and the healing power of God. I preached on 1 Timothy 2 calling the church to be a church of prayer for all people; to be a church with a heart for all people; and to take the Gospel message to all people. 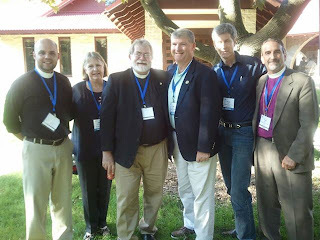 It was a privilege to gather with the leadership of the Anglican Church in North America last week at Nashotah House, Wisconsin. To worship, discuss important issues, to envision, enjoy rich fellowship, and spend much time in prayer before the Lord, was indeed a good week. 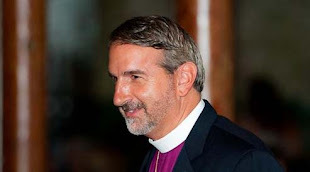 Still becoming who God has called us to be for the 21st Century, the Anglican in North America has an exciting and rich vision to reach North America with the transforming love of Jesus Christ. How can my godson be getting married??? It seems like yesterday we were visiting his parents in the hospital after he was born!! 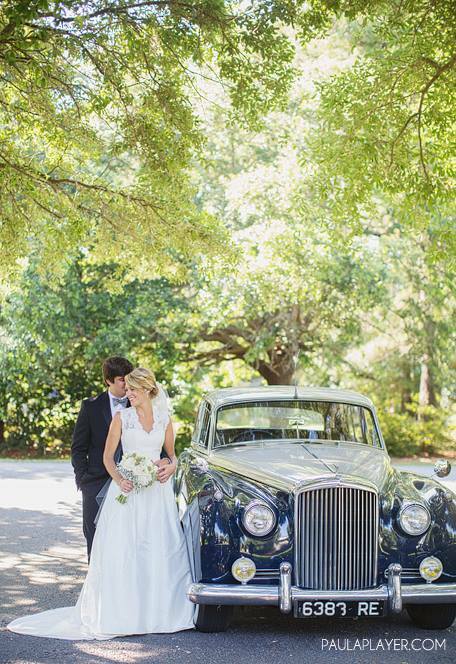 I had the privilege of participating in the marriage of Whit McGreevy and Mary Pat Bradshaw this past weekend at Pawleys Island Presbyterian Church in South Carolina. Great time with long-time friends and reconnecting with old friends. 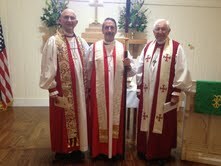 Thanks to Billy Hodges, I was able to return to preach and welcome new members at Holy Cross, Loganville on Sunday morning. Over 20 folks made public their commitment to Jesus Christ and become members of the Anglican Church. Billy Hodges and his plane! 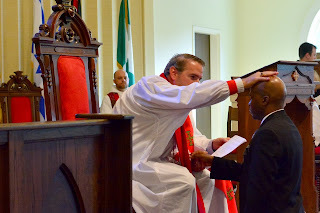 Monday night brought the ordination of Aaron Prosser to the Deaconate. Deacon Aaron is a student at Nashotah House Seminary in Wisconson, a place which teaches the orthodox Christian faith and trains ministers of the Gospel. This week the leaders of the Anglican Church in North American are gathering at Nashotah House for our Annual Provincial Council and College of Bishops meetings. We are trying to keep the main thing the main thing!!! Archbishop Bob Duncan Addressing the Council: Keep the Main Thing the Main Thing! Small World!! 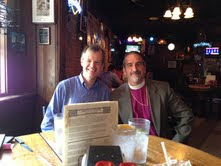 Visit with a parishioner, Sam Juett, from 15 years ago in Monroe, GA, who now lives in Amman. Yes, we found the chocolate chip cookies!! I couldn't resist... my love of motorcycles. This guy is sitting on the exact motorcycle which I am motor-cycle sitting for James back in the States!